Manufacturers are the backbone of America's economy and work force, and APDC is proud to offer services to makers across industries. We are built to be flexible to meet changing industry demands. We know your success is vital to our nation's success. Quality and value go hand-in-hand with our lean initiatives. It is our mission to manufacture aluminum die cast components using good, common sense principles to make our business invaluable to you. By doing so, we offer you a competitive edge. From the planning stages of your design to the moment your first product is shipped from your facility and beyond, we offer services such as machining, anodizing and more for every stage of planning and production. 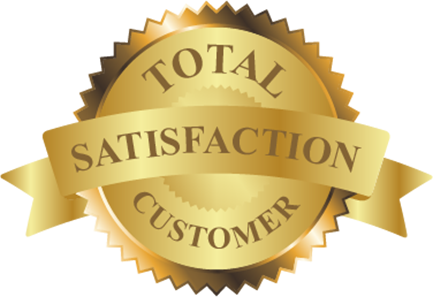 Total customer satisfaction is our objective. American Precision Die Casting is where quality, delivery, and value come together. At APDC, everything we do is driven by that motto. We believe that a great product without great customer service is unacceptable, a firm belief embraced by each and every APDC associate. Since our founding in 2006, the focus of APDC has consistently been on building, developing, and nurturing our long-term partnerships with our customers. We do so by helping them firmly secure a competitive edge and position in their respective market place by sticking to what we do best—producing high quality aluminum die castings at very competitive tooling and unit part prices. Because our business is built on flexibility, we are able to serve a wide range of demanding market segments including Industrial and Consumer Products, Electric Motors, Commercial Construction, Automotive, Heavy-Truck, and Automotive Aftermarket as well as Military and Defense. The core of our business model is aligned with flexibility in scheduling, responsiveness, cell manufacturing, availability of stocking, inventory and KANBAN programs, the concept of Single Minute Exchange of Dies (SMED), automation and relentless pursuit of Six Sigma Quality all of which allows us to think big and act small in the operation of our company, with each element being a contributing factor to enabling us to meet shorter lead times and tighter production windows. The APDC Partners and Management Team has well over 200 combined years of aluminum die casting experience. We have the die casting facility, equipment, experience and technical know-how to produce high-quality products we stand behind with pride. We look forward to offering you total customer satisfaction fully supported by our dedicated service and commitment to meet or exceed your expectations of a die casting supplier. Our company has enjoyed the relationship we have with APDC. Their overall service is what makes them standout above all our other suppliers. APDC is able to adapt quickly to our ebb and flow of business. We appreciate their hard efforts in ensuring every shipment is on-time, with excellent quality. Zero quality issues in the past 2 years. Excellent on-time delivery. Outstanding customer service support from receipt of order through receipt of product. All staff interaction is professional, courteous, and timely. Product is always on-time and good quality. Please keep up the good work. Great Quality. Parts are delivered on-time. Great team to work with, very responsive to our needs. APDC is a very competent supplier. No problems in dealing with them daily. Communication is very good. They understand the business, and are very accommodating. Any issues that arise are handled quickly and professionally. One of our best suppliers in performance of on time delivery, complete, and PPM. We’re always looking for dedicated individuals to become a part of the APDC team.